One of the things that gives me a garden high is experiments. And experiments that actually work, that change the way I garden, are the most rewarding. Most of them are flops, many of them are started and forgotten. This is the first year I’ve tried starting onions from seed under lights. Two varieties: Australian Brown and Yellow of Parma. The little guys were easy to grow and did great until I put them out. Then a cool snap and drenching rains, and the seedling seemed to stagnate. They looked like they were heading downhill, and I lost faith. 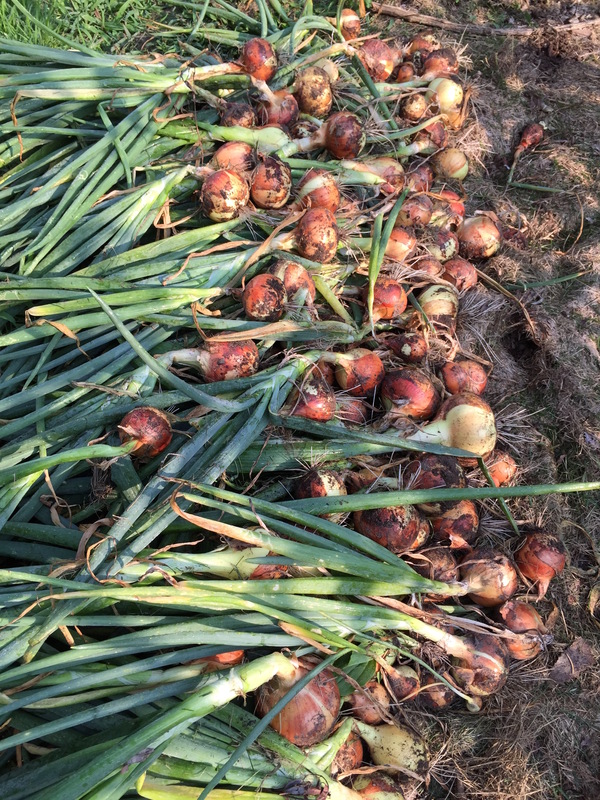 But they steadily improved over the growing season, and yesterday I harvested a wonderful batch of storage onions. These were uniformly bigger and healthier than the Copras I’d grown from bulbs for years. Made my day. It’s always good to learn. I think I learned something about onions started from seed indoors. I’ve always planted my onions from purchased sets, which seemed indestructible. No matter when I planted them, they always pulled through. 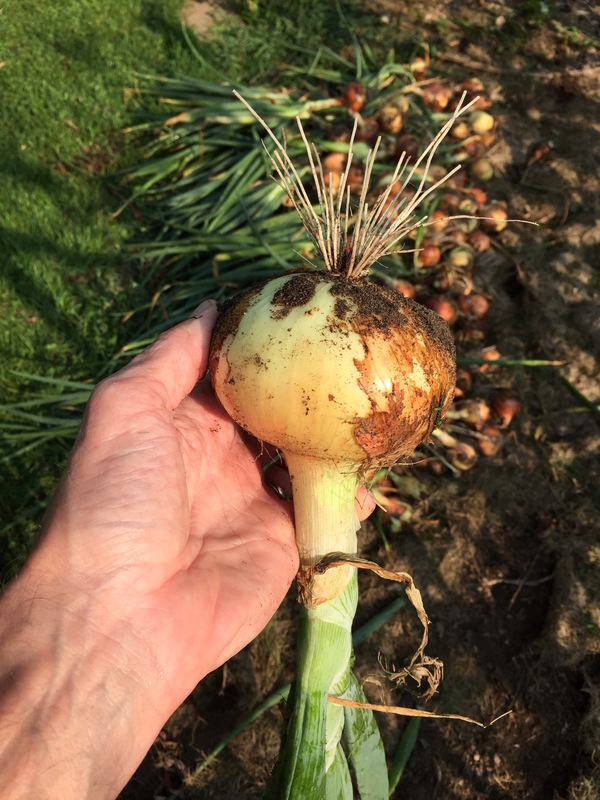 This year for the first time I tried onions from seed planted indoors in January and February. 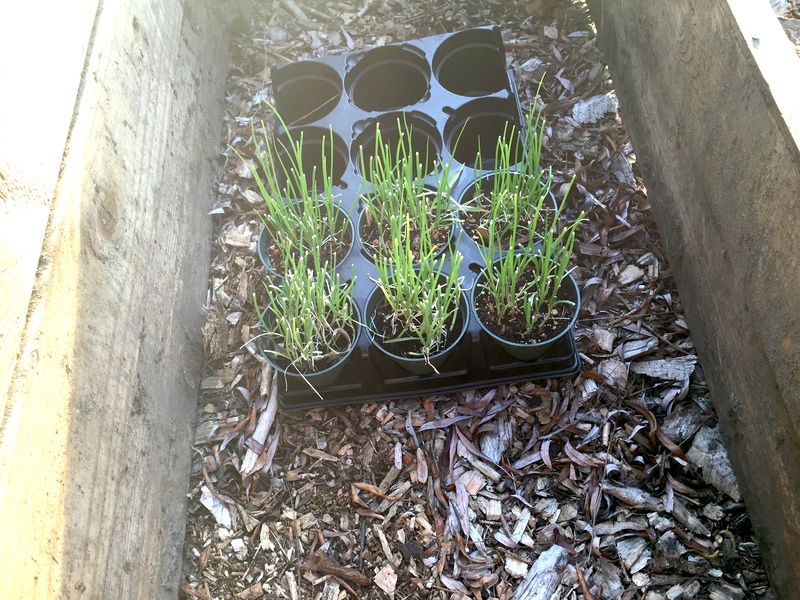 I set the seedlings out on April 19th. A cold snap hit, with lows near freezing shortly afterwards. I covered some of the seedlings with a hoop tunnel, and those survived ok. The uncovered plants struggled. I eventually replaced the struggling plants with seedlings I’d kept from the original batch, which had been sitting in their pots. This was almost a month later. A couple of days ago I put in a few rows of sweet corn seed. Today I noticed that someone has been exploring under my corn rows. I don’t have many qualms about skewering pilferers. 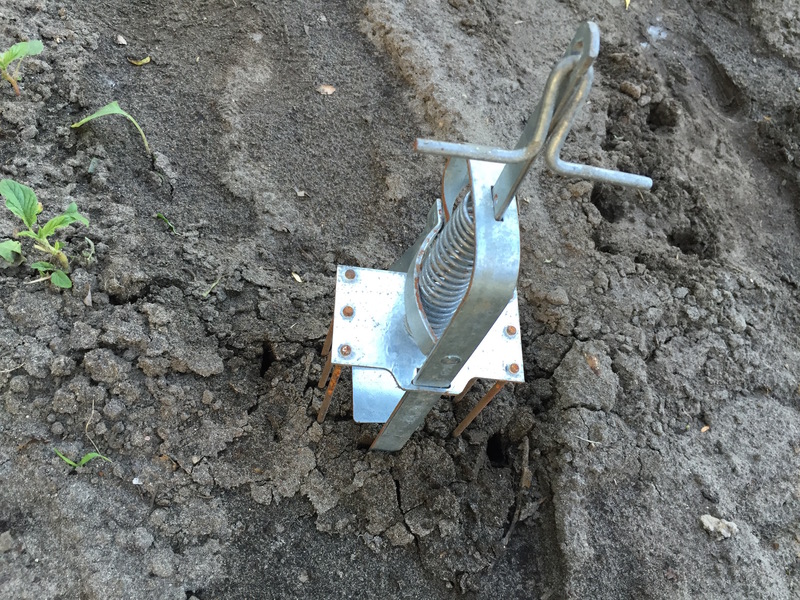 Heads up, Mr. Mole. It’s not all trouble though. 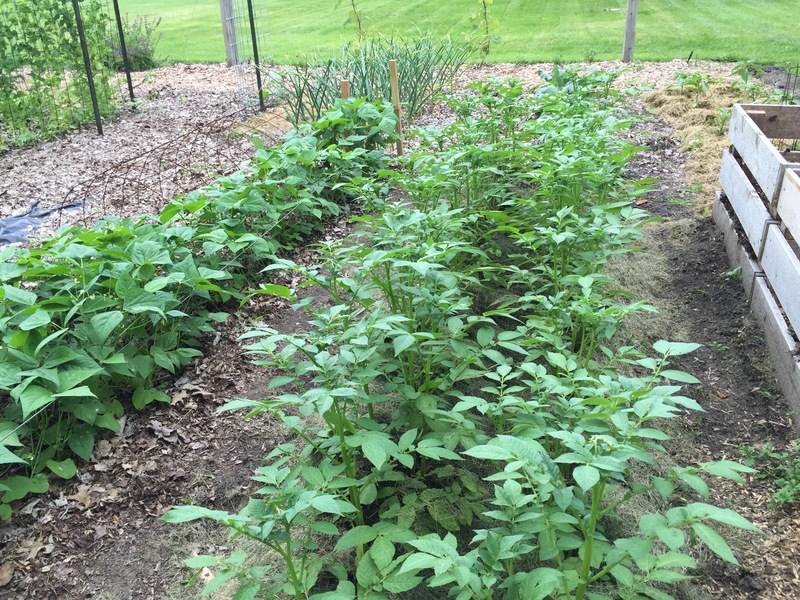 The taters and beans are finally blooming and they seem happy. 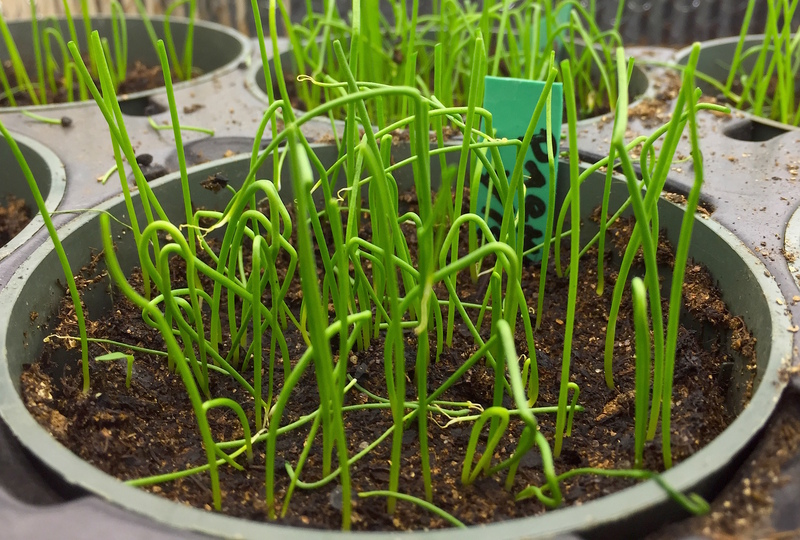 And I plucked off the fall-planted garlic scapes, meaning that they’re coming down the home stretch. Won’t be long. It’s green material season. Finally. The first batch of grass clippings, much needed. 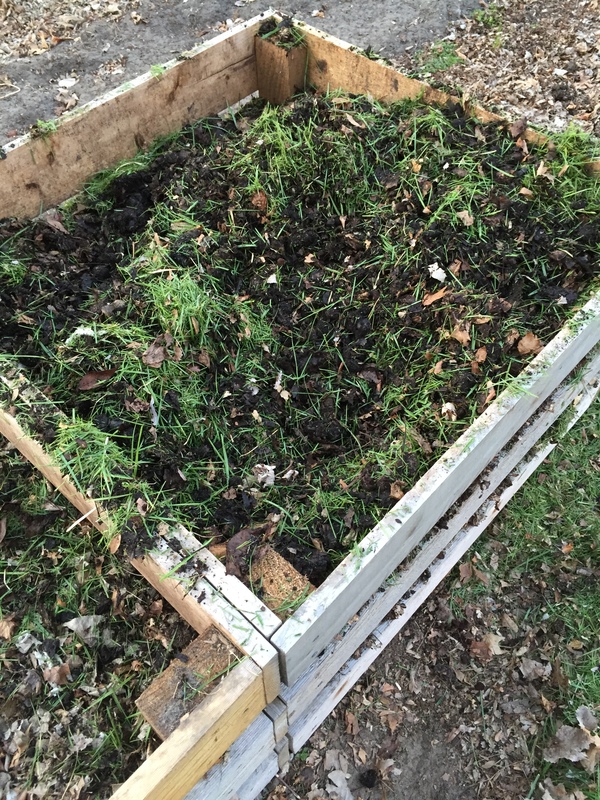 The compost pile that I started in the winter with shredded leaves and coffee grounds wasn’t heating up as much as I like, so half of the clippings went into it, and the other half went into a new pile of more shredded leaves, coffee grounds and clippings. 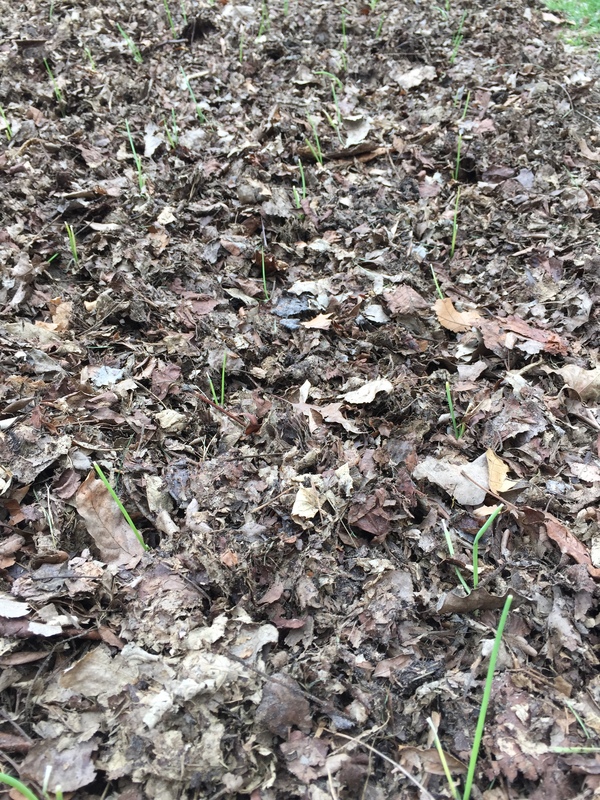 After the frost took out quite a few of my onion seedlings, I replenished the rows and mulched with shredded leaves like I should have done in the first place. 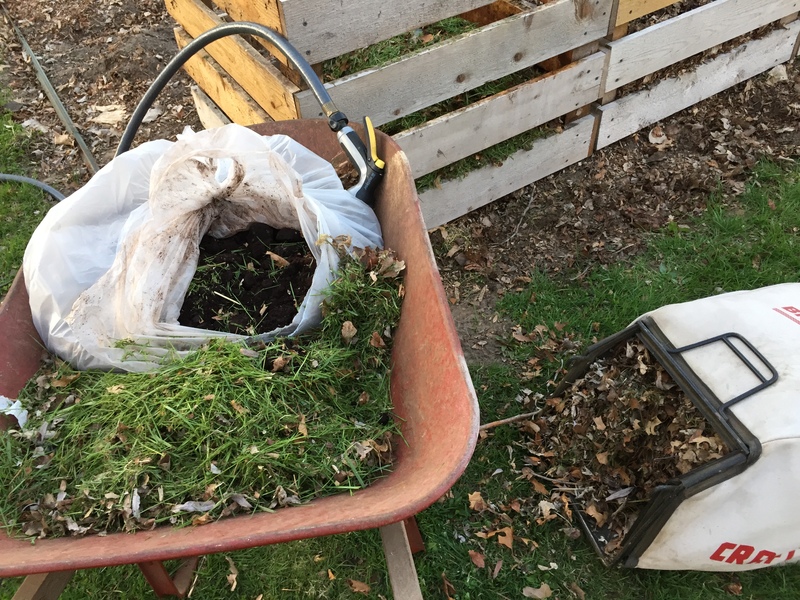 The mulch can’t be very thick because the seedlings are small, but shredded leaves last a while and do a good job of keeping down weeds and keeping moisture in, even with just a couple of inches. And I think a mulch might have given a little more frost protection too. I’m also sprouting a new batch of corn seeds. This time I won’t take any chances with iffy germination. 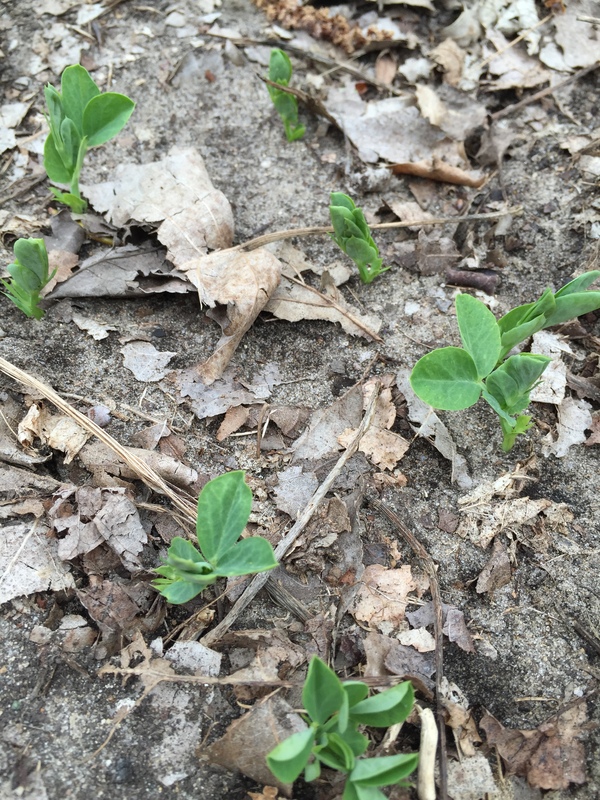 Pre-sprouting is why all the snow pea seeds that I planted are popping through. You know they’re good seeds when you can see the roots growing before you plant them. Sometimes you just need a little vacation from retirement. We took two days to get away from the endless busy-ness of the ‘easy life’ in a rustic cabin in Indiana. The trip was great, the return so-so. It’s natural to try to present your best side, your beauty shots, when you blog. I do it often. You probably do it. But I’m not so vain as to deny mistakes and miscalculations. They’re part of gardening. When I returned from our excursion, the first thing, of course, was to check the seedlings in the grow room. Not a happy thing. Only half of the sweet corn seeds had germinated. I plant them early to give them a head start in the warmth of the house. 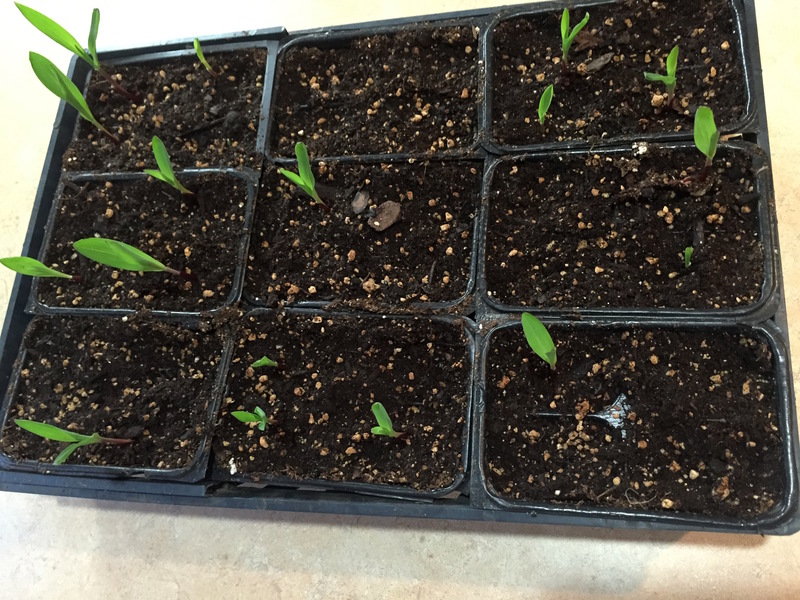 But having enough seedlings to plant a block of plants is critical for pollination with corn. I don’t have enough sprouted seedlings to start a block, so it’s back to square one, and my corn season got a few days shorter. 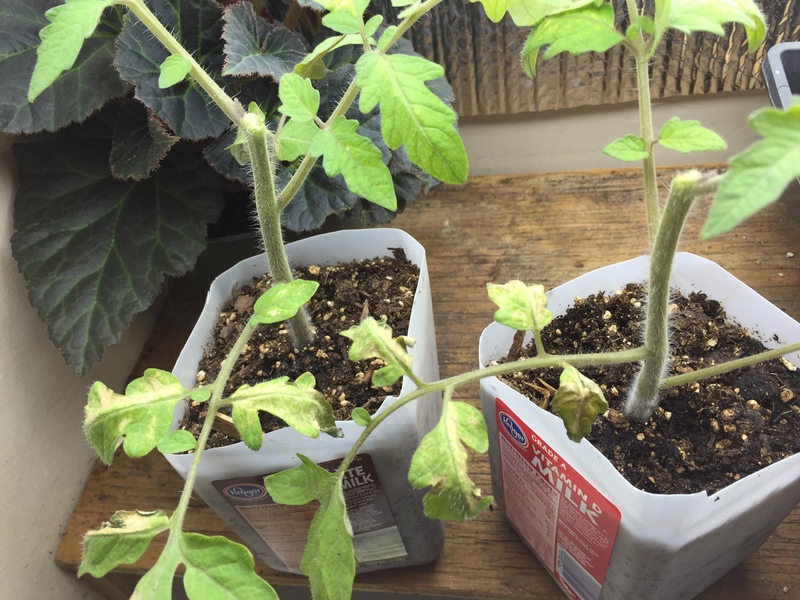 Next up, the very early tomato plants that I decided to experiment on by clipping off the growing tips. Oops. The two seedlings that I trimmed didn’t look so happy. I’d chalk it up to sunburn if I didn’t have another seedling, a control plant, that received identical hardening off. Be very cautious if you’re considering this. Better yet, don’t. Luckily I’ve learned that setbacks don’t have to be disasters with a backup plan. There are extra plants under the lights for just this reason. And finally, out in the garden, the effects of a hard freeze a few nights ago showed plainly. 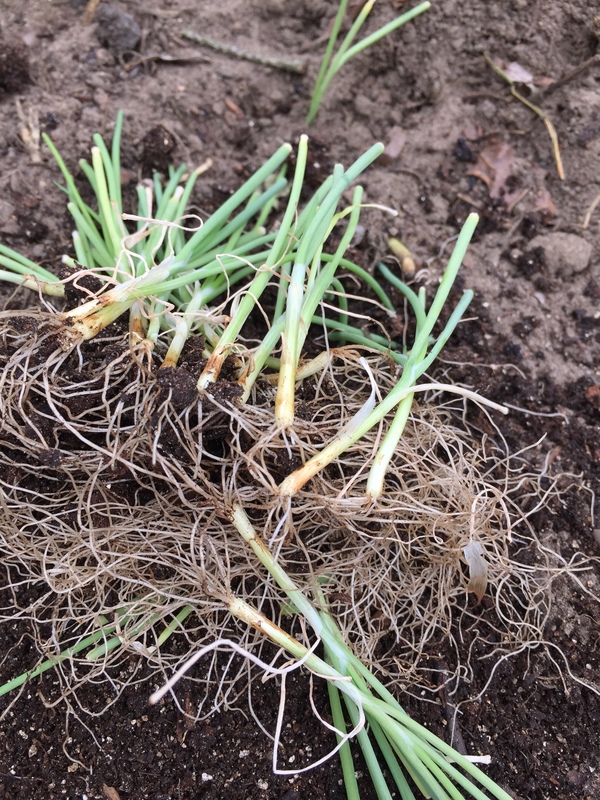 I didn’t have enough grow tunnels to cover the whole bed of young onion plants, so there’s a wilted, sickly patch right in the middle. Again, the backup plan should save my silly rear. There are more plants sitting in a cold frame ready to take their places. Anyway, mistakes were made, and will continue to be made. No matter how long you’ve been gardening, there’s always a twinge of worry when you first place your infant seedlings at the mercies of nature. Even when you’ve done the same thing year after year and you know they’ll probably be just fine, there’s still a little voice saying ‘Maybe they should have been hardened off a few more days’ or ‘Maybe that cold night coming up will be too much’. 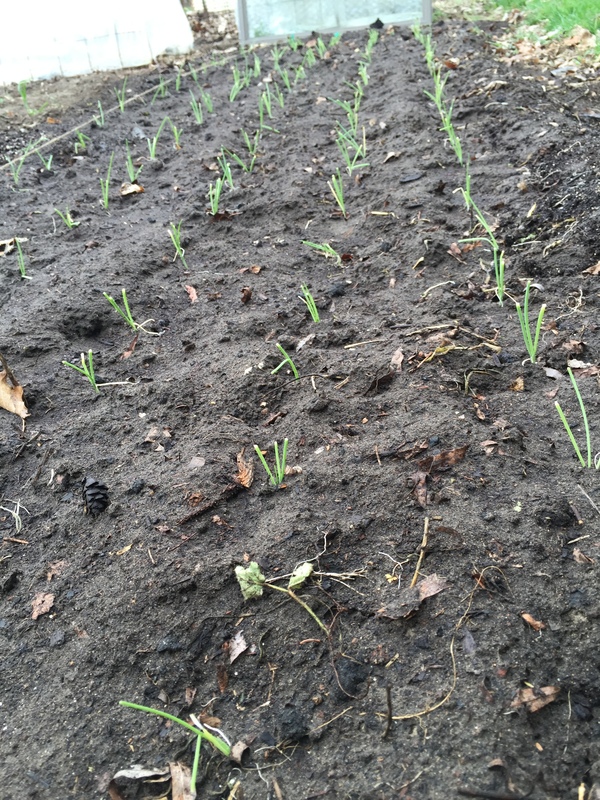 Anyway, the onion seedlings went out yesterday. There’s a 30° F night coming up this week, something they’ve never experienced. But I guess it’s like raising hundreds of little green smelly kids. You have to let them face life eventually. You use your best judgement and hope your guess is right. 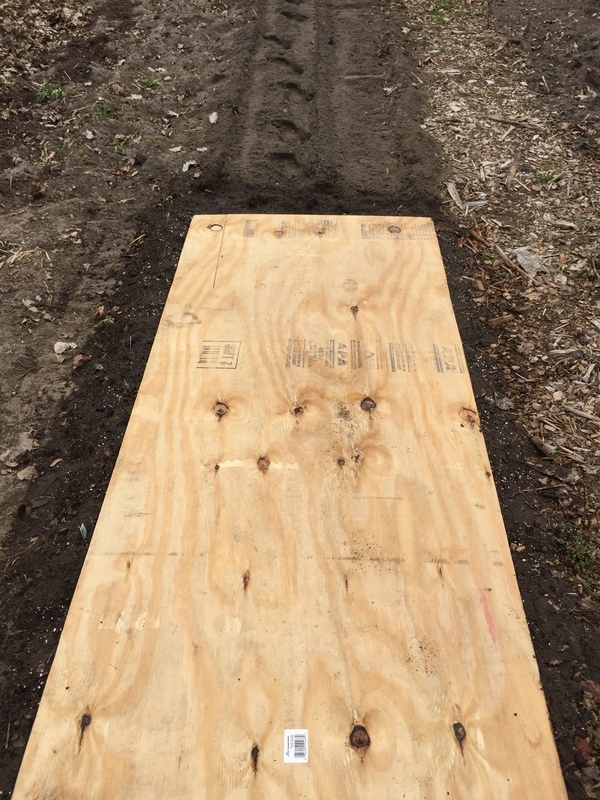 Last year for the first time I covered my freshly planted carrot seeds with a board before they sprouted. The theory is that the darkness keeps most weeds from sprouting and the board keeps the seeds moist. It’s a method that requires close attention; you need to remove the board immediately when the carrots sprout. But it worked great for me. You did it. Thank you for all of your great comments and suggestions about getting chickens. I guess I didn’t really expect anyone to say ‘Don’t do it’, but still it’s nice to hear encouragement. Baby chicks will be making their way to my little corner of southeastern Michigan. I keep thinking of stuff that I’d overlooked regarding the coop and run construction, but that will work itself out. I’ll probably shoot to have everything ready for them by early April, so there’s plenty of time to rearrange things a million times. Again, I do appreciate your knowledge, encouragement and help. Yesterday my first onions from seed popped through (that officially took 4 days from planting). They’re under lights with a fan cooling their jets. Disjointed, theme-less post today. That’s the way we roll. My chicken coop thought has transformed into pretty much a full-blown chicken coop obsession. Why am I like this? My wife should like it because it keeps me busy and not underfoot. Did I mention that retirement (semi-retirement in my case) rocks?